When I heard that the process to transfer your data from a Nintendo 3DS or Nintendo 3DS XL to the New Nintendo 3DS XL was a 16-step process – YES 16 STEPS – and requires a Phillips screwdriver AND a PC, I thought I woke up in the year 2007. You heard me correctly – the process to get the data and licensing for the games and applications you purchased, from the Nintendo eShop, on your current Nintendo 3DS is a 16-step process if you want to use that content on the forthcoming New Nintendo 3DS XL. If that news, combined with the fact that new Nintendo 3DS XL is stupidly actually called the New Nintendo 3DS XL,hasn’t already make your face explode, then congratulations, you’re a stronger person than I. Seriously, is Nintendo out of their friggin’ minds?! Your “old” Nintendo 3DS or 3DS XL and its SD memory card. Your New Nintendo 3DS XL and a microSD card with at least as much memory as your old 3DS’s SD card. A 4GB microSD card comes with the system. 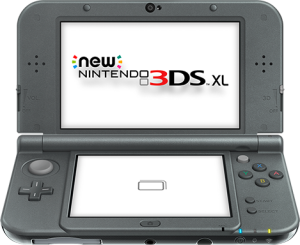 Step 1: Complete the initial setup for your New Nintendo 3DS XL and update to the latest system software. DO NOT create a Nintendo Network ID on your new system. Step 2: On the home menu, select System Settings, Other Settings and then select System Transfer. Step 3: On both systems select Transfer from a System in the Nintendo 3DS Family. Step 4: Select Send from This System on your current system and select Receive from Nintendo 3DS on your New Nintendo 3DS XL. Step 5: Follow the prompts to confirm the transfer to the target system. Step 6: Select Delete to erase the content on the microSD card in the target system (the New Nintendo 3DS XL, that is) in preparation for the transfer. Step 7: Select No on the target system (N3DSXL again) to confirm no other microSD cards have been used on the system. Step 8: Select Yes on the source system (old 3DS) to confirm you are using an SD card in your current system. Hello? Are you still there? We’re halfway through! But let’s take a quick break to grab a tissue for those whose brain is bleeding through their nose. Step 9: Select PC-Based Transfer to use a computer to complete the transfer. You can choose the ? buttons to learn about the other methods of transfer. Step 10: Select Move on the source system to start the transfer process. Step 11: Once the transfer is complete the source system will format and your New Nintendo 3DS XL will restart. Step 13: Connect the SD card from the source system to your computer and copy the folder named Nintendo 3DS to your computer’s desktop. Step 14: Connect your microSD card to your computer and copy the Nintendo 3DS folder to the microSD card. Step 15: Once the data is finished copying, insert the microSD card into your New Nintendo 3DS XL, attach the back panel and power your system on. Step 16: The system transfer is now complete. Enjoy using your New Nintendo 3DS XL! What the actual @#$%, Nintendo?! 16 steps?! Really? REAAAAALLY?! How is this okay in 2015? I’m being serious – how is this okay? I can go out today, buy a brand new Kindle, log into it with the same Amazon account I have on my old Kindle, log into the app store on that device, and download anything I’ve purchased, and begin reading it. I can do the same thing with an iPhone and/or an iPad or iPod Touch. Or an Android phone or tablet. It’s really that easy! No system transfer BS, no screwdrivers required! I’m seriously beginning to worry about Nintendo. As the years go on, they seem more and more out of touch with modern technology. 8 years ago, when the Red Ring of Death was plaguing the original Xbox 360, I had to go through the repair process twice, and the whole licensing transfer was less of a headache than the System Transfer process for the New Nintendo 3DS XL. Who exactly is going to do the system transfer? If it’s not the kids, then it’s the parents. While I’m computer savvy and can deal with this type of request from my kids, I know too many tech-challenged parents who would look at this, and have their eyes would roll back into their head, and fall to the ground – dead. Game over, man. Game over. 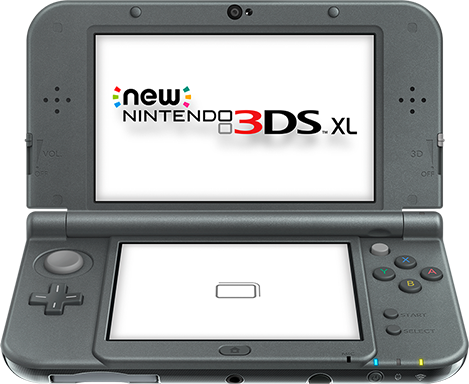 Step 1: Complete the initial setup for your New Nintendo 3DS XL and update to the latest system software. Step 2: Open the Nintendo eShop Application and sign-in with your Nintendo Network ID. Step 3: Buy new games and apps or view the digital content you already purchased, and download it again. Step 4: Enjoy using your New Nintendo 3DS XL! Seriously, Nintendo, I’m worried about your relevance over the next few years if you can’t figure a better way to manage digital rights and software licenses on your systems. It’s not user-friendly. It’s not easy. This was acceptable in 2005. It’s not in 2015. Xbox One – Used Games, DRM, Always On and more Dropped! It only does everything! Even Bingo? System Sellers – Fact or Fiction?